Update! The winner (royal1) has been chosen and I am still awaiting a reply to my email contacts. If I do not hear soon, I will be picking another winner. So there may be yet another update early next week. 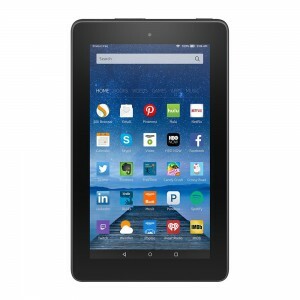 I am giving away a new edition Kindle Fire (8gb, wifi) to one reader! This promotion runs from September 28, 2015 until October 16, 2015, at 11:59 pm. In Tall, Dark and Wicked, Padua remains loyal to her father, even when her father seems to repudiate her. Have you ever been in a situation where you either received or gave loyalty to someone above and beyond what might be expected? Post your comment/response below to be entered in the giveaway! As a Thank You to everyone who pre-orders Tall, Dark and Wicked, I have created a little gift. I commissioned three Regency themed coloring for grown up pages with subjects derived from my stories. If you want them, after you pre-order go to http://eepurl.com/bxCkYz , fill out the form, and you will be sent an email confirming your request. Once you do confirm, in a day or so you will get another email with a link to where you can download the pdf with the 3 images. You can then print them on any kind of 8 1/2 x 11 paper you choose. Posted in Contests and Giveaways | Comments Off on Pre-Order Gift!